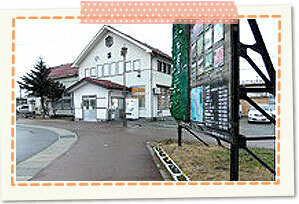 Contrast of red roof and white wall was chosen as beautiful station building by 100 selections of northeastern stations. Natural wood that beech and Quercus crispula more than 250 through 300 years old stand in a row as for the Nukumi-daira Flat. 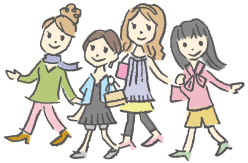 We can feel fresh surprise and pleasure, profundity of Mori to be deep. 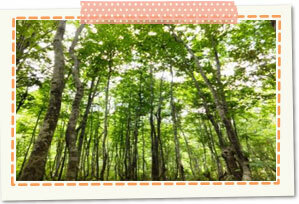 We are authorized as Mori of extremely superior healing in the whole country's first "forest therapy base" in 2006. Tengu Bridge which is built just before Iitoyo mountain cottage. We are transparent in emerald green, and it seems that descent from small Wed gathers little by little to the bottom of a river. 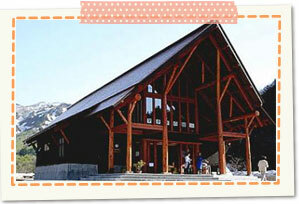 The first page is red, and the mountaintop is dyed from Thu of riverside in autumn and can enjoy contrast that nature weaves. 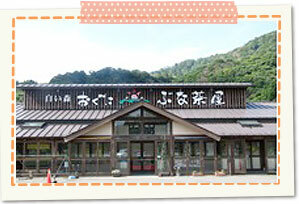 It is next to Japanese apricot skin-so, and it is pleased by relaxation and customer for quietness. 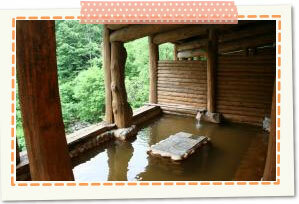 Outdoor bath made with log house which can view Ide Mountain Range. 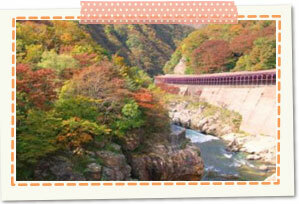 We can take a bath seasonally while seeing the mountains and mountain stream of changing Iitoyo. It is in Kotamagawa district handing down matagi culture for a long time and is document exhibition room to introduce history or culture of matagi to. 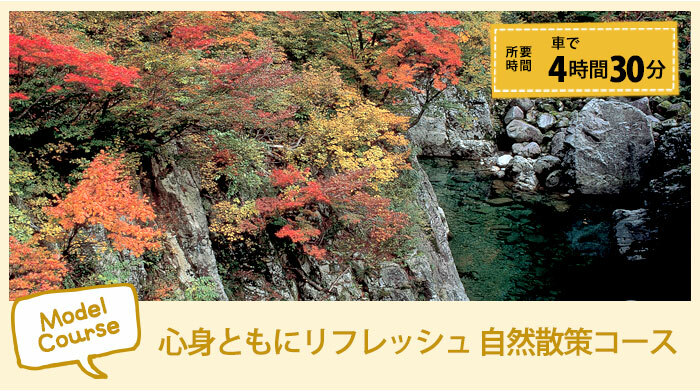 Colored leaves and reputation that are the best in arekawakyo belonging to Bandai-Asahi National Park are high in "akashibakyo" where Route 113 is along, and Promenade is maintained. 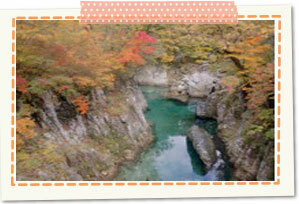 The clear surface of the water, white bave rock harmonize with colored leaves of Thu well and attract person visiting. There are direct sale places of light meal and product product and can enjoy local cuisine which kept restaurant aiaideha good-quality local material alive.